Michael Damian – Rock On – Official Music Video. Song was originally recorded and released as a single sung by David Essex in 1973. 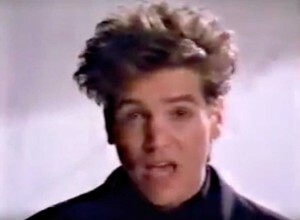 Michael Damian’s cover was released in 1989 appeared on Damian’s album Where Do We Go From Here. It was also featured in teen movie Dream a Little Dream (starring Corey Haim and Corey Feldman). Damian’s single reached number 1 on the Billboard Hot 100 chart.